I love a good unreliable narrator, don't you? 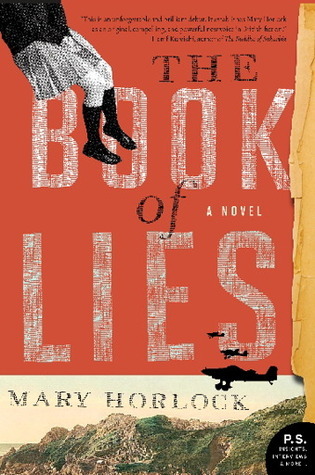 The Book of Lies, by Mary Horlock, is going down on the list for me as one of the best unreliable narrator books. The book tells the story of Cat, a teenager girl in 1984, who confesses on the first page to murdering her best friend. Interspersed with Cat's story of how she came to murder this friend, we also read transcripts of a taped confession by Charlie, the brother of Cat's father, who has recently died. Cat's father was obsessed with the German occupation of the small island of Guernsey, where the book is set, and passes that obsession on to his daughter. Charlie, Cat's uncle, experienced a situation that mirrors Cat's own during the German occupation and through his story we see the secret history of the family. We also become increasingly aware of Cat's own lies, as well as what may or may not be true regarding the family's history. Love it! Like I mentioned above, I love unreliable narrators and Cat is nothing if unreliable. Her voice as a teenage girl in the 1980's is perfect and she is a wonderfully flawed character. I also love the way we see her father and his transcripts of Charlie's "confessions" evolve. We are introduced to the father, Emile, by Cat, and told he is the island's foremost historian. It is only as we continue to read Cat's story as well as the Emile's notes that we see that Emile may not have been regarded as a legitimate historian by the rest of the world. Trying to figure out what is truth and what is the product of Emile's obsessions and Cat's interpretation of those obsessions makes for an incredible read. I was hooked. As I mentioned in the writing section, in addition to being an intriguing story (a contemporary girl is bullied by classmates which leads to a murder/the Nazi occupation of a small island during WWII), not knowing how much truth we are being told makes the book even more intriguing. Obviously the book has gotten a lot of comparisons to The Guernsey Literary and Potato Peel Society, since it deals with the German occupation of the same small island. Not having read The Guernsey Literary and Potato Peel Society, I can't really speak to two compared to each other, but I do highly recommend The Book of Lies, especially if you have an appreciation for unreliable narrators and books where you never really know if what you're being told is the truth. Thank you to TLC tours for including me in the tour for this book. If you want to see what others have had to say about the book, you can find a list of the entire tour schedule here. This one is on my kindle and I think I will read it next. 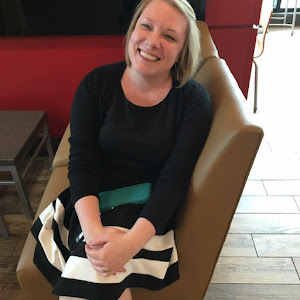 I love unreliable narrators too! I loved the Guernsey book so I'm pretty sure I'll love this one too. Ohh I am so excited for this one! I'm on the tour and can't wait to read it, especially after your review! I'm not really sure that I can think of an instance where I've read an unreliable narrator, but this one sounds really good! Unreliable narrators are one of my favorite types. :) I think they're especially fun when the book is picked for book club! Goo Gone - My package came!